OTTAWA – I’m officially an award-winning journalist! 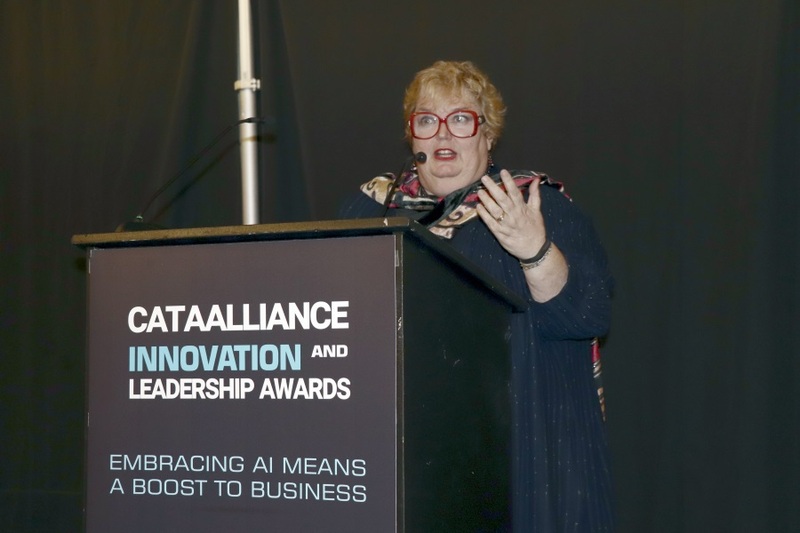 On Tuesday night, during the Canadian Advanced Technology Alliance (CATA) Innovation and Leadership Awards Gala, held at Ottawa’s Carlton University, I received the prestigious MNP Award for Excellence in Science and Technology Reporting – one of 12 prizes handed out that evening to Canadian tech’s best and brightest. 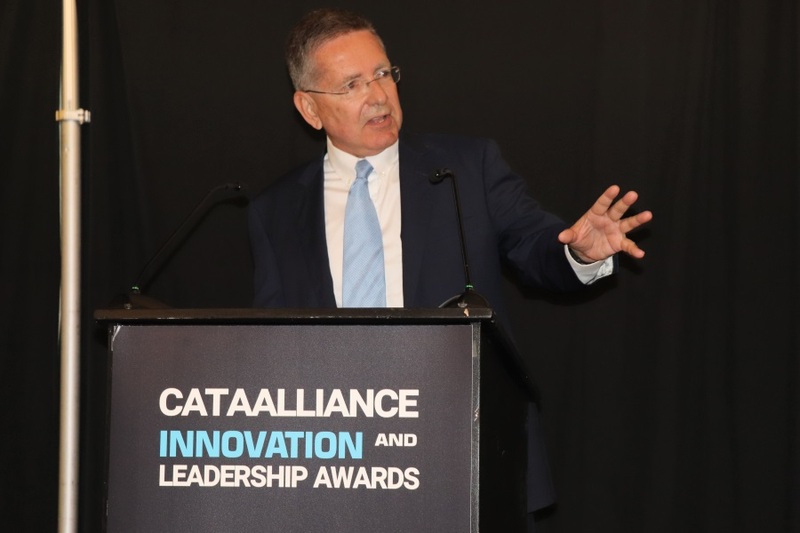 I could not, of course, attend such an event without covering it myself, and so given the night’s theme, I decided to ask my fellow award winners how they defined innovation, and what role it played in earning their award. Read on for answers from Cogeco Peer 1’s Jaime Leverton, Imax vice president Charles Lim, and more! Reformulary Group founder Helen Stevenson, one of two winners of the Telus Outstanding Product Achievement Award, said that she wouldn’t define innovation as something new, but as something that truly delivers value to an audience – in the case of Drug Finder, her company’s drug information database, employers across the country. 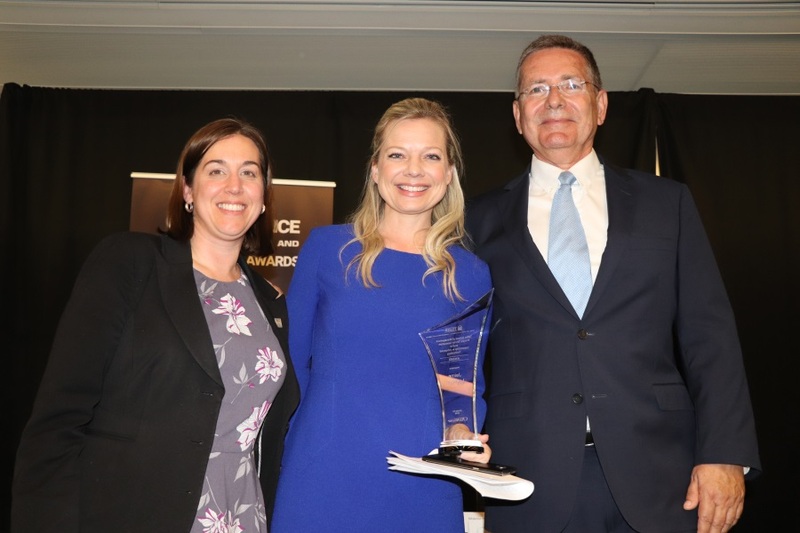 “I think we won tonight’s award because there’s real evidence with respect to the value that we’ve been able to provide, and our tool is available to Canadians across the country,” she said. Type any drug name into Drug Finder, and you’ll have access to thousands of expert reviews from doctors and pharmacists regarding its value and effectiveness. Great for human resources directors, or curious journalists wondering about their new asthma medication. A secure database platform aimed at the healthcare industry, Brightsquid helps practitioners of all kinds store and confidentially send patient information quickly and safely, according to its website – and after nine years in business, is currently storing the records of 40,000 patients. Cogeco Peer 1 vice president and Canada and Asia Pacific general manager Jaime Leverton, who received an award from the Telfer School of Management, remained silent for a solid minute before answering my question. Meanwhile, Leverton attributed her own success with innovation to pure humility. 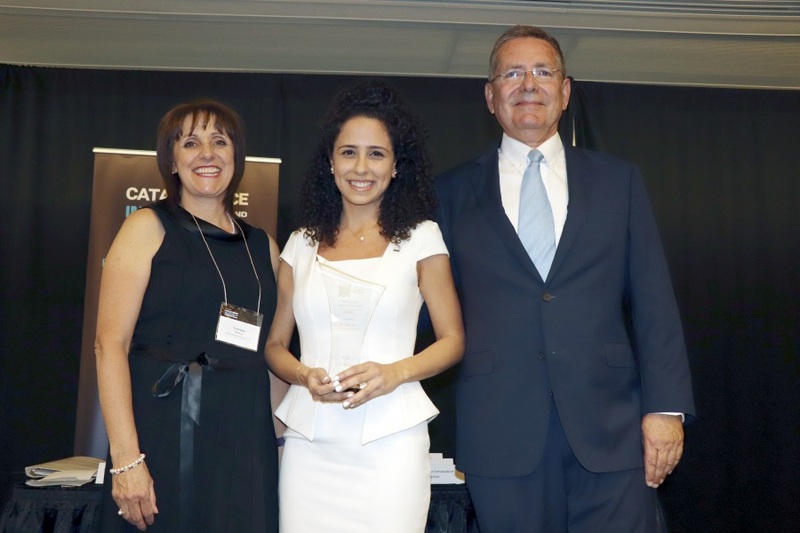 Canada Revenue Agency program officer Emma Azzi won CATA’s inaugural Making the Most of Her MBA award for her role as chair of the 2018 MBA Games, a nationwide competition involving more than 600 MBA students across Canada that recently celebrated its 30th anniversary with its first games in Ottawa. Though Azzi, who is earning her MBA in addition to working full-time with the CRA, didn’t officially compete with the Ottawa team, she helped run the games with a team of 14 students – and couldn’t be prouder of the home team, which ultimately won first place in the competition’s academic division. 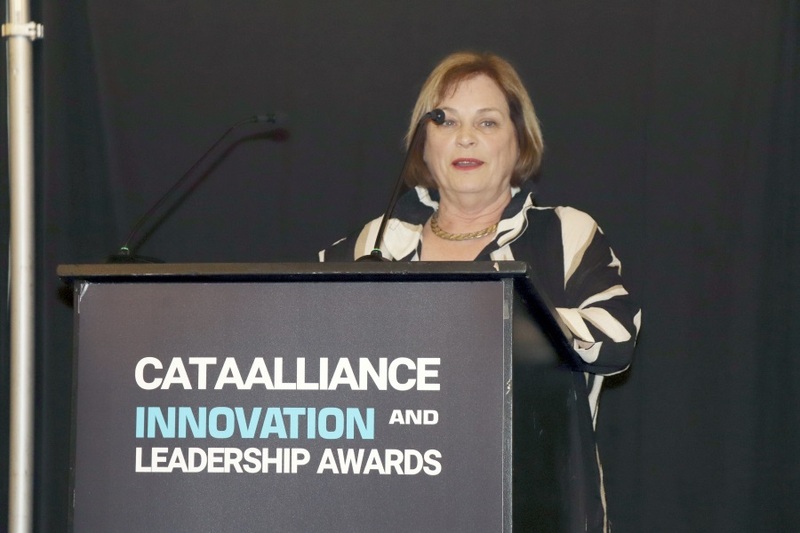 “I define innovation as mostly working together, and especially during the MBA Games, where our theme this year was ‘more together,’ we definitely innovated and achieved more together than we could have ever done on our own,” she said. 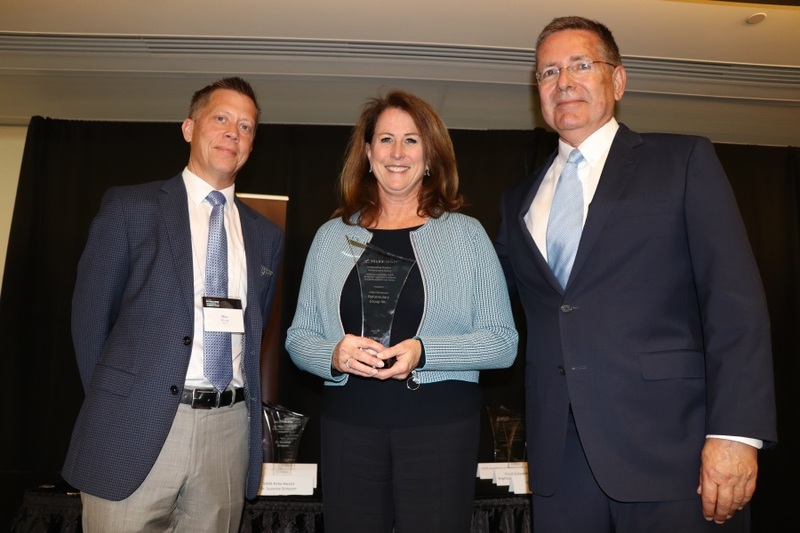 Suzanne Simpson, president, founder, and CEO of Human Resource Systems Group (HRSG), who won the Sara Kirke Award for Entrepreneurship and Innovation, said the key to innovation is starting with a vision and sticking with it – even if the means of executing it aren’t yet available. “Our vision was to create a talent management suite that would address the biggest problem in talent management: the presence of different silos, usually within different organizations –recruitment, learning and development – who often don’t talk to each other or even have the same standards,” she said. 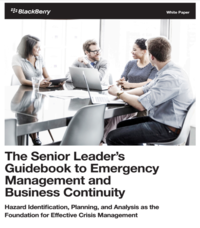 Sounds like your typical startup – except HRSG is almost 29 years old. Crisis Services Canada Inc. CTO Roberta Fox, who won the Wilfrid Laurier University Public Sector Leadership Award in Advanced Technology, said she thinks of innovation as bringing technology to help businesses – or non-profits, like her clients – make a difference in whatever goal they happen to pursue, whether it’s saving lives or providing improved customer service. “I also think innovation is about embracing what’s unique about Canadian culture and bringing it to all Canadians,” she said. 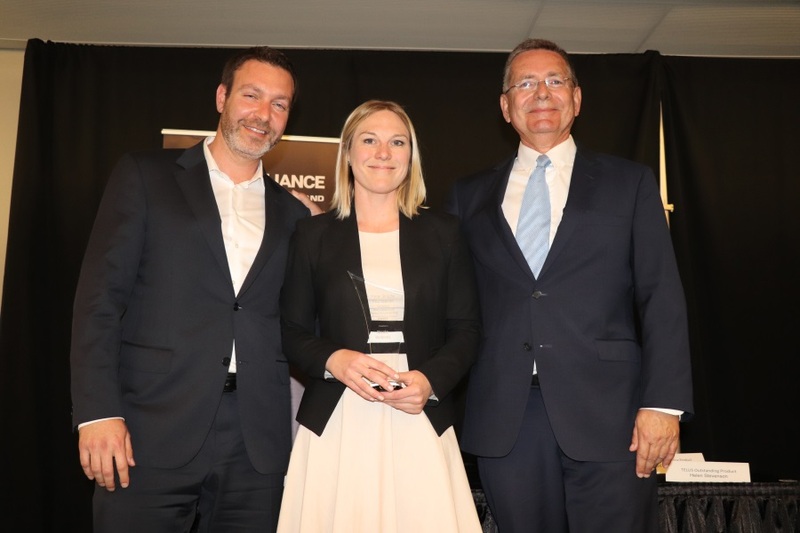 OMX (Offset Market Exchange) founder and CEO Nicole Verkindt, who won the Peter Brojde Award for Canada’s Next Generation Executive Leadership, said that she thinks many people have confused innovation with invention, and that some component of science, technology, engineering, or math must be involved. 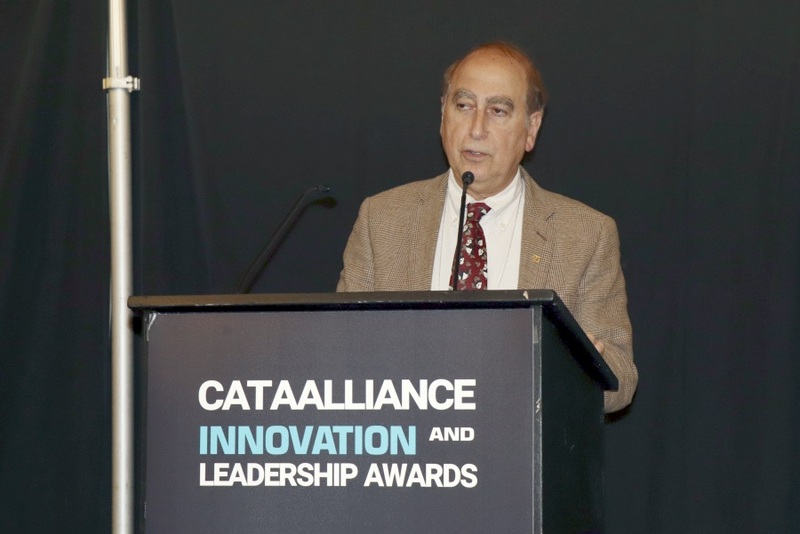 Mindbridge AI CEO Eli Fathi, whose company won the Sprott School of Business at Carlton University Outstanding Product Achievement Award, called innovation “the lifeline of technology” – but emphasized that it doesn’t exclusively refer to technology. 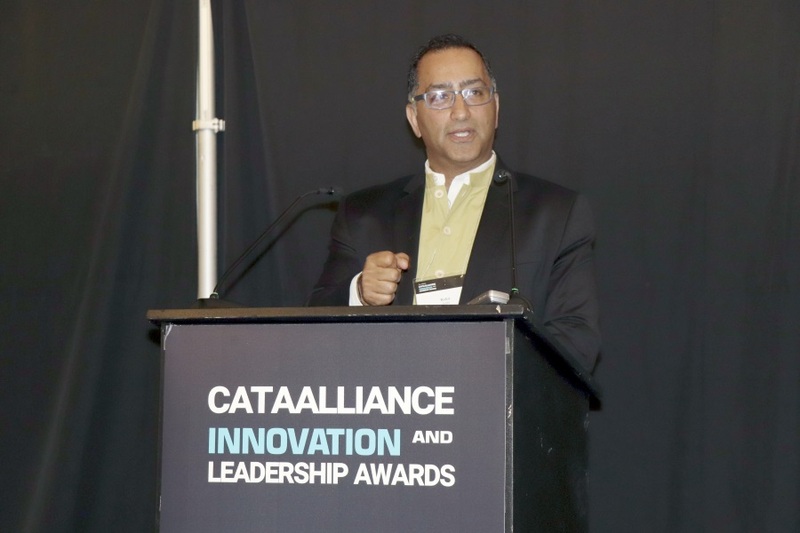 Fathi said he’s tried to follow Apple’s example when designing his company’s signature product, Mindbridge Analytics, which uses artificial intelligence and machine learning to uncovers errors in financial data. 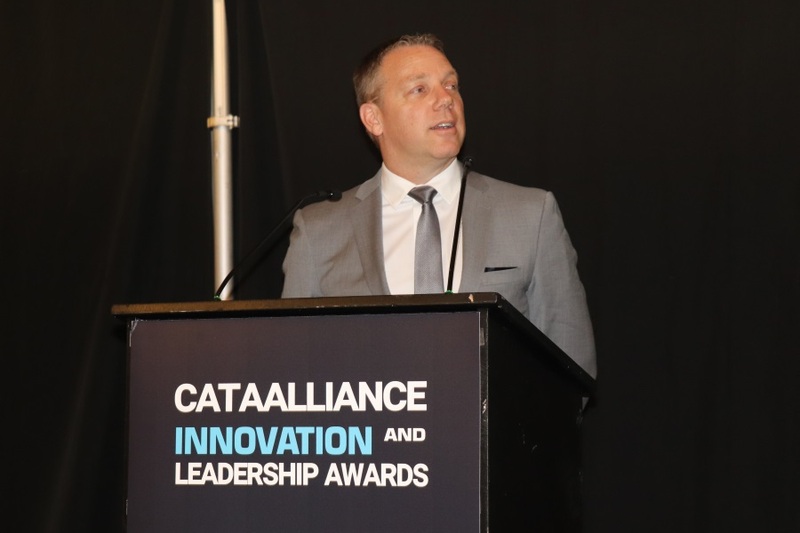 Media Sonar Technologies Inc. CEO David Strucke, whose company won the Motorola Solutions Award for Public Safety Technology after building a platform that uses big data to help clients identify security risks, called my question challenging. 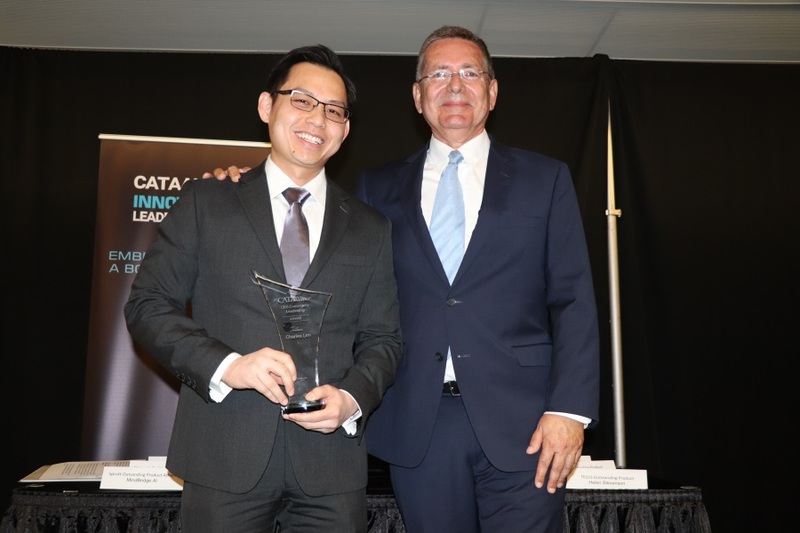 Imax Corp. vice president of corporate development Charles Lim’s dedication to selling the Toronto-based company’s signature technology to Chinese theatres and filmmakers from its Chinese headquarters in Shanghai, despite living and working half a planet away, earned him this year’s CATA CEO Community Leadership Award. 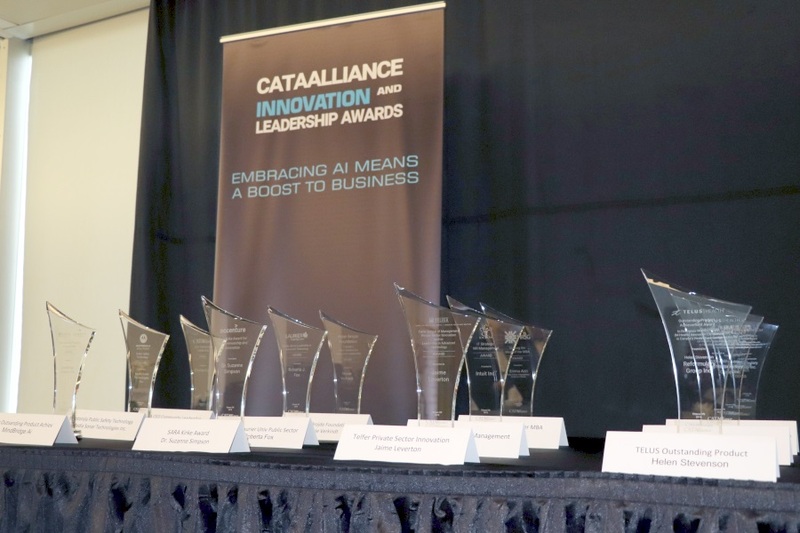 It also means innovating in a responsible way: “What I’m seeing right now with AI is there’s a need for leaders to take action, to make sure that we use technology in a positive way instead of the other way around,” Lim said. 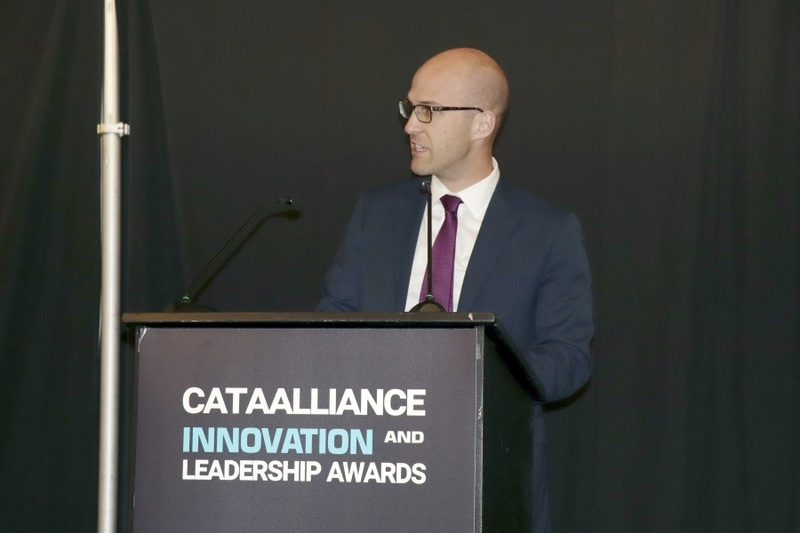 Of course I had to ask CATA CEO John Reid how he defines innovation, and more importantly how this year’s CATA award winners embodied the concept.